Holiday shoppers with smartphones can retrieve instant price comparisons that make bargain hunting easier—and the Federal Reserve’s job tougher. The Fed is likely to announce the raising of its benchmark short-term rate by a quarter percentage point. Officials also will release their latest projections for the likely path of rates in the years ahead, which will influence mortgages, credit cards and other consumer loans, business borrowing and global financial markets. Fed officials, along with central bankers in Europe and Japan, want inflation to rise to an annual rate of around 2%, considered a healthy level for spending, business investment and higher wages. With the U.S. economy expanding and showing very low unemployment, an interest-rate increase would help forestall asset bubbles or other financial dangers. Most Fed policy makers agree they should keep gradually raising short-term rates in the months ahead to prevent the buoyant U.S. economy from overheating. But some are hesitant because inflation remains puzzlingly weak, running below 2% for most of this year. Moving too quickly could stall growth. Persistently weak inflation has stumped Fed Chairwoman Janet Yellen and her colleagues. Some Fed officials have argued for holding rates low a bit longer to give inflation a nudge. Most, though, want to raise them. Economists attribute feeble inflation across developed economies to several causes, including aging populations, slow productivity growth and globalization, which have reined in the ability of companies to raise prices and wages. With consumer spending accounting for more than two-thirds of the U.S. economy, the explosion in e-commerce has been added to the list. Stacy Peterson, 34 years old, of North Little Rock, Ark. said she started her holiday shopping in October, researching and comparing prices online. On Thanksgiving Day, she sprang for a trampoline she had been eyeing. It was marked down online at Academy Sports + Outdoors to $129.99 from $179.99. The mother of two plans to check the holiday sales at her local stores, she said, but mostly will look online and buy from “whoever has it cheapest.”In a nod to the growing practice, Ms. Yellen said in September that increased competition created by online retailers “may have reduced price margins and restrained the ability of firms to raise prices in response to rising demand.” She said in October that online shopping “could be helping to hold down inflation in a persistent way in many countries.” The Bank of Japan in has attributed part of the price declines at supermarkets to online shopping. Kayla Weaver Blake of Lufkin, Texas, frequently researches prices online. On a trip to buy diapers at a Toys “R” Us Inc. store, she pulled out her phone and noticed a carton of 128 Pampers Swaddlers was $34 on Amazon.com Inc., or roughly 20% cheaper than in the store. The mother of three showed the screenshot to the cashier. Paired with a $10-off coupon, Toys “R” Us sold the diapers to her for a net price of $24. Research by Goldman Sachs found that online price competition may be subtracting as much as a tenth of a percentage point from core inflation, which strips out volatile energy and food prices, and quarter of a percentage point from core-goods inflation, as measured by the personal-consumption expenditures index. It may not sound like much, but with annual core inflation at just 1.4% in October, it is significant. Alberto Cavallo, an economist at the Massachusetts Institute of Technology’s Sloan School of Management, said the expanding ability of consumers to comparison shop has constrained retailers’ ability to charge different prices online and in stores, according to data compiled in MIT’s Billion Prices Project. Retail’s share of e-commerce is growing, another consideration for Fed policy makers. Online shopping accounted for 9.1% of U.S. retail spending in the third quarter, according to the Census Bureau, up from 3.6% in the same quarter of 2008. It comprises most retail growth: More than half the sales of books, music, videos and DVDs are done online, according to retail data analysis firm Boomerang Commerce Inc. Sales of sporting goods and consumer electronics are getting close to that level. Consumer prices for many of those goods fell in the year to October: Books were down 2.7%; sporting goods fell 1.9%; televisions dropped 10.3%; toys declined 8%, the Labor Department said. The consumer-price index for commodities, excluding food and energy, dropped 1% over that time. It has shown deflation, compared with a year earlier, nearly every month since early 2013, though that partly reflects a drop in import prices from the strengthening dollar over that time. By contrast, the annual rate of inflation for services hasn’t dipped below 2% in six years, largely driven by the rising costs of rent, health care and education. The competition helps drive innovation and productivity, according to economists, while giving consumers more for their money. And some believe it will have a growing influence over central bank policy. “If the Amazon effect is big, or more broadly if structural forces pushing down on inflation are big, then at the margin that means an easier monetary policy” going forward, said Goldman Sachs economist Jan Hatzius. Central bankers should rethink their inflation targets, given the continued downward pressure on inflation from globalization and technological change, said Claudio Borio, chief economist at the Bank for International Settlements, a Switzerland-based consortium of central banks in a recent speech. 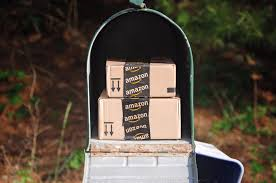 Amazon captures more than 40 cents of every dollar spent online, according to a panel of 5 million U.S. shoppers tracked by Slice Intelligence. The internet giant chooses which categories it leads and matches on pricing by electronically checking thousands of websites a day, according to former employees. When Pradnya Haldipur of Silver Spring, Md., first got pregnant, “I started doing as much comparison shopping as my brain could tolerate,” she said. Ms. Haldipur, 43, typically checks Target.com and Amazon.com, and sometimes Google’s shopping search engine, before clicking buy. She does so for such basic goods as toilet paper, as well as toys she buys for her two children. Accurately measuring the impact of the Amazon effect is indeed one problem. Few statistical agencies collect extensive online price data. In the consumer-price index, the survey sample of where people shop rotates only every two to four years. The CPI doesn’t capture the money saved when a consumer switches from a brick-and-mortar store to an online retailer, said Steve Reed, an economist at the Bureau of Labor Statistics. That factor, known as outlet bias, is another reason economists could be underestimating the impact of online shopping and overstating inflation. An earlier example was known as the “Wal-Mart effect,” coined in the 1990s to describe the company’s disruption of the retail sector. A 2005 study found Wal-Mart’s entry into a new market offered lower prices, and prompted competing supermarkets to respond by either lowering prices or not raising them. The shift toward outlets like supercenters and big-box discounters between 2002 and 2007 lowered the average prices of most categories of food by about 1.5% from 2002 to 2007, according to a BLS study. With the Wal-Mart effect, however, it was one dominant retailer that pushed prices lower through its large-scale purchasing power and supply-chain management. Today, smartphones and online price transparency mean “it’s the consumer that now has extraordinary buying power,” said Rick Rieder, chief investment officer of Global Fixed Income for BlackRock Inc.